Before beginning operations in Houston County, a business, profession, or occupation should apply for a business privilege license with the Houston County Probate Office, 462 North Oates Street, Dothan, Alabama. This includes operations located within the municipal limits of Ashford, Avon, Columbia, Cottonwood, Cowarts, Gordon, Dothan, Kinsey, Madrid, Rehobeth, Taylor, Webb. The Code of Alabama 1975, Title 40, Chapter 12 provides the authority for Alabama's county business licenses, which total in number approximately 140. For a sample listing of required licenses and fees contact the Houston County Business License office at 334-677-4742 or the Alabama Department of Revenue, Business License Division at 334-353-7827. To download an application for a new business operating in Houston County,(click here). A Quick Reference Guide is provided to determine the license sections that may apply to your business or occupation. 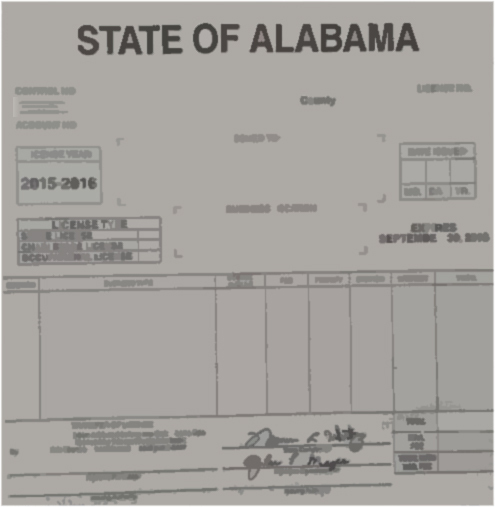 An educational brochure for Alabama taxpayers,'Starting A New Business' is also provided by the Alabama Department of Revenue. Please note that a municipality within Houston County may have additional provisions for license fees and requirements for certain businesses and occupations. You may need to contact the respective City Clerk's office for the city or town where operations may be conducted.